Stepping out from behind the hazy blue smoke curtain and dripping orange sky of his tripped out band Bad Liquor Pond, Dave Gibson heads straight into the intoxication of sunlight, where Morels’ first album Drift ebbs and flows, awash in warm breezy layered blissful stoner nods of light-handed delight. Jenell: Mr. Gibson, nice to sit down with you again. With a new baby on the way, you’ve been a hard man to score some time with. So [laughing] of course my first question will be, have you written any songs regarding the joys or trials of fatherhood? Dave: Nothing on this record, but it definitely has worked its way into newer material that I’ve been working since becoming a father. Jenell: As you know from my review, I really like the sonic atmosphere and sound of your new band. Were you looking toward a new direction from what you’d done with Bad Liquor Pond, or was this just the next logical step? Dave: Bad Liquor Pond was more rooted in a take on blues oriented music that was influenced by a lot of bands from the 60’s. On the last Bad Liquor Pond record we had started to mix in a more mellow washed out vibe and as the band dissolved the music started to move in even more in that direction with more pop sensibility – and synthesizer. Once we had a new lineup and had all of the tunes fleshed out, we tracked the record, and we were the Morels. Jenell: The new outfit has an impressive cast of players that include members of The Flying Eyes and The Warlocks. Would you mind delving into the backstory of how you met? And if I’m not mistaken, since we last spoke you’ve added another member? Dave: Yes, Trevor Shipley plays on Synth. Jenell: This is a touchy question, but I’ll ask it anyway, and hope not to offend Mac, Ryan or Elias … is this a collaborative effort, or are you still directionally driving? Dave: It’s a collaborative effort. The first record, I had demoed the tunes, and then we would edit and arrange the parts together. We are working on a bunch of newer songs currently that have been worked out together that we hope to record at some point. Jenell: Let me step out of the music for a moment and say that I’ve gotten a lot of positive feedback on your cover artwork. Who took the photograph please? Dave: Ryan took the cover photo. Jenell: I must confess that “Drift” is a perfect title for this release. As to the band’s name, Morels are highly prized eatable mushrooms that tingle the tastebuds rather than the mind, any reason for this choice of band names? Dave: We were having trouble settling on a band name and we decided on Morels. Their natural, they taste good and the word sounds nice. Jenell: The vocal harmonies of “Drift” are some of the most lush I’ve heard in a very long time, and backed up against the drumming, especially on “Water Shades” is quite intoxicating. All of the songs seem to blossom in their own way, yet you’ve managed to hold all of this in check without going overboard into jagged distortion, where you keep things moving in a linear manner. Dave: We recorded the basic tracks live, along with a handful of overdubs at a house that my brother owns in Boonsboro, Maryland. After that we tracked all of the vocals and the rest of the overdubs at my rowhouse in Baltimore that I lived in at the time. Jenell: This sort of goes back to the album cover again, Bad Liquor Pond was designed for dark of night listening, yet “Drift” finds you embracing the sun and a different sort of passion. Dave: It’s just the way the songs came together. I guess we had a brighter outlook at the time in terms of what we wanted to express. Jenell: How long did it take for “Drift” to be completed? I realize songs such as “Lemon Seeds” seem rather simple and upfront, though I can’t imagine that this was an easy song to bring into fruition. That being said, do you know when a song is just right or do you do a fair amount of tweaking? Dave: The basic tracks that we initially recorded were all done in a single day. We started at around 10 a.m. and wrapped up around 9 p.m. After that, the overdubs were completed in a series of sessions with Mac and Ryan coming over one day and Elias another to knock out rhythm and vocal harmonies. After that, I added the vocal tracks, other overdubs that were needed and mixed the record. 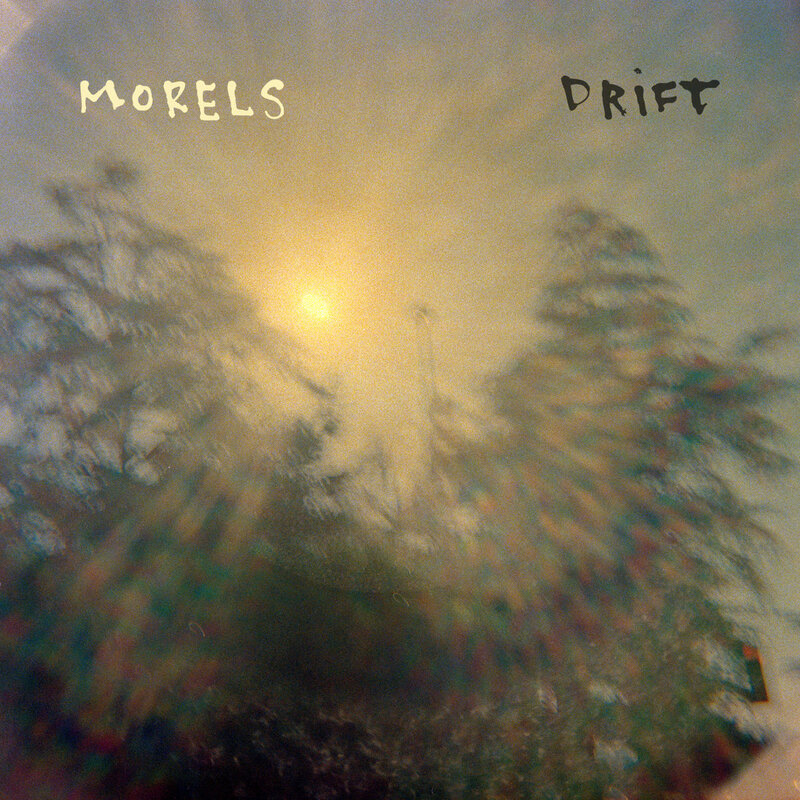 “Lemon Seeds” and “Photograph” were actually written and recorded after the original “Drift” session. Those two were demos that I was working on at the time I was mixing the record and the rest of the band were digging them, so we decided to put them on the record because the recordings turned out so well. Those songs were completed very quickly – over the course of a couple of evenings of recording. The mixing takes the longest when you’re doing it yourself because you need to take a break to distance yourself from the recording a bit and to bounce the mixes back and forth between the rest of the band to make sure everything sounds good. We don’t make the most professional sounding records, but we have fun doing it. Jenell: For me, one of the issues with digital recordings is that they often sound cold, as if there’s something missing that I can’t quite put my finger on, yet here you seem to have filled those spaces with a background warmth, a continuous sort of meandering lightheaded keyboard drone that creates a sonic atmosphere for the songs to ride on. Dave: We recorded the album digitally, but we had it mastered at Wrightway Studios in Baltimore by Rob Giardi, and s a part of the mastering process, he ran it through a 1/2” 2-track analog tape machine which took the edge off and warmed it up. Jenell: Have you brought any new instruments, pedals or effects to the table this time? Dave: More chorus and more Casio sythnesizer strings, but Trevor has a nice Nord that he plays that is the new mothership in the synth department. We have some nice old fender amps and a bunch of pedals to make up the rest. Jenell: Being a visual artist I’m constantly looking at my work and reevaluating it, are you constantly listening to playbacks on your own time, or is this a studio aspect shared with your bandmates? Dave: No, I listen to our music from time to time. You need a long break after you have just completed the record because you have heard it hundreds of times, but we make music that we would want to hear. Jenell: Have you ideas that refuse to step though the door? And what do you do with those sketches? Dave: Sure, sometimes a song is good, but it doesn’t work for a given record once you start to sequence the album, or the recording just isn’t coming out the way you would like. If it doesn’t stick, it doesn’t stick. A lot of the forgotten ideas are caught on hard drives and maybe they will be revisited at some point, or just sit in the vault. Jenell: Who’ve you been listening to lately? Dave: We all listen to a wide variety of music, new and old. Personally, some of the more modern acts I’ve been playing recently are Dungen, Kurt Vile, Mac Demarco, Wildhoney, Ringo Deathstarr, but I always listen to a lot of my older records as well, my collection is all over the place. Jenell: The song “Communion,” the final track on this album, while enchantingly dark and very good, comes off as the odd man out, with more controlled harder edges … is this a direction you’ve been moving toward, or just a bit of unexpected expansive spacious consumption? Dave: That is a tune that is not a part of the album proper and isn’t included on the vinyl release. We recorded the song during the original tracking session and this was a case of a song that didn’t fit in the final sequence, but we decided to include it as a bonus track along with the digital release. Jenell: Members of Morels have touched down all across the country, any chance you’ll be headed out for wider audiences across the States or Europe? Dave: We certainly hope to do some more extensive touring at some point, although nothing is currently planned for the near future. With most of the group involved in other projects that are actively touring it has been a bit of a struggle to lock in a tour. The Flying Eyes are coming up on another European tour this Fall, Trevor is spearheading the scoring of a Rock Opera for the Baltimore Rock Opera Society and Ryan also has a baby on the way, so things are pretty busy for everyone right now. Jenell: Thanks for sitting down with me again. Please tell folks where they can find you on the world wide web and to download this great new album. Dave: You can link up with us and purchase the record at the links below the album is available digitally as well as on 12” vinyl through Morphius Records. Good to talk with you.